A smart bag with a shot of attitude? We like that idea. So we've taken a boho style, cut it from tactile grainy leather and added a feature flap. We heard you like pockets, so we put a large pouch on the outside with a magnetic dot closure, along with an internal secure zipped pocket and phone slip for extra ease. 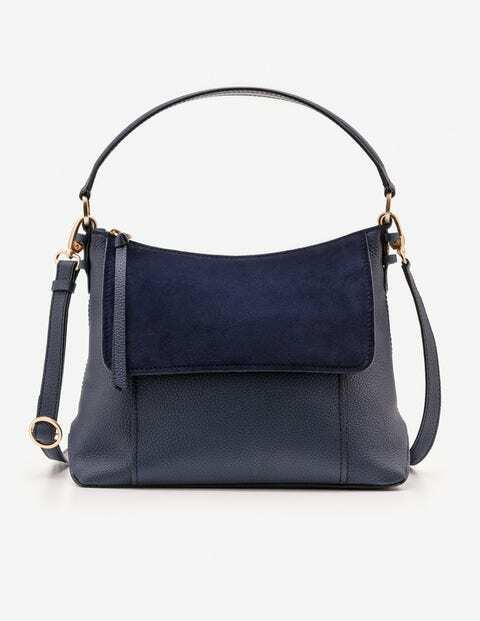 With a detachable crossbody strap, this bag is seriously versatile.